With remote consultation service offerings for acute stroke at 15 facilities in three states, Cleveland Clinic has found a way to make the telestroke model work for all stakeholders. Here are insights to foster success. In 2015, stroke neurologists with the Cleveland Clinic Telestroke Network (CCTN) provided remote consultation services to more than 1,000 patients in 15 healthcare facilities in Ohio, Pennsylvania and Florida. We achieved an intravenous tissue plasminogen activator (IV tPA) utilization rate of 16 percent, well above the national average of 3 to 5 percent and nearing the approximately 20 percent achieved by highly specialized centers. One of the primary reasons for the ongoing success of the CCTN is that it’s a dedicated service line, with stroke neurologists on call 24/7. This level of support for acute stroke patients ensures a rapid response to partner hospitals, which helps improve outcomes. In 2015, the average time from when a CCTN neurologist was paged for a consultation until the physician called back the hospital was one minute. Nationwide, there are only four neurologists per 100,000 U.S. residents (Neurology. 2013;81:479-486), which makes the need for telestroke services critical. However, implementing and sustaining a telestroke program can be demanding. At Cleveland Clinic, we have tripled our partner hospitals since 2014 and learned some lessons along the way that could benefit other healthcare systems offering telestroke services. When patients identified with stroke arrive at the emergency department (ED) of a partner facility, emergency physicians perform a rapid assessment, order a CT scan and then call the CCTN. Within minutes, a CCTN stroke neurologist is working remotely with the ED staff. Together they check vital signs, perform an examination, review results of the CT scan and make treatment decisions. Since its inception, the CCTN has grown to serve 15 hospitals or freestanding EDs that do not have stroke specialists. This includes eight within the Cleveland Clinic health system as well as seven external facilities — one in Ohio, five in Pennsylvania and one in Florida. The figure below illustrates how two participating hospitals saw their IV tPA delivery rates improve following implementation of telestroke services. Figure. Delivery rates of IV tPA to patients with acute ischemic stroke at two participating CCTN hospitals during 12-month periods before and after initiation of telestroke services in 2014. Participating in a telestroke program offers several benefits to these 15 facilities, including access to a multidisciplinary team of stroke experts who can help determine the appropriateness of IV tPA administration, intra-arterial thrombolysis, mechanical revascularization and other treatment options. But the greatest benefit may be that patients often are able to remain in their local hospitals, closer to family and local physicians. We work closely with our partner hospitals, making sure that neurologists and other healthcare staff understand our decision-making and can seamlessly pick up care of the patient the next day and beyond. 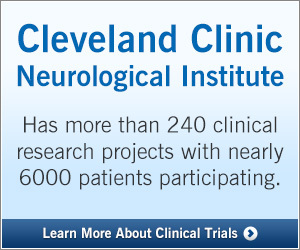 Only the most severe stroke patients are transferred to Cleveland Clinic’s main campus, which has two neurological ICUs and full neurointerventional and neurosurgical capabilities. Technology: A telestroke program requires software, high-quality videoconferencing capabilities, a pan/tilt/zoom camera at partnering facilities, CT image transfer capabilities, and fast, secure transmission systems. We have opted for a high-end system to help safeguard against glitches and downtime. A program’s service line is only as good as its software and real-time transmission capabilities allow. Resources: Telestroke programs run the risk of physician burnout, as they require an immediate response, which can create a higher level of burden on neurologists over time. It’s imperative to have a fairly large pool of stroke experts who rotate shifts. The CCTN comprises 15 stroke neurologists, with one primary telestroke physician and a backup physician on call around the clock. Training: When the CCTN partners with a new participating facility, our program manager facilitates training of the new facility’s entire ED staff to do patient assessments with Cleveland Clinic stroke experts. Topics include components of the NIH Stroke Scale (NIHSS) neurologic exam that require nurse assistance and important reminders related to telemedicine, such as to interact with the physician via the camera. In the past year, the CCTN has begun recommending that two nurses be present in the assessment room at participating facilities — one to interact with the physician, the other to work on the NIHSS exam. As a natural extension of the CCTN, Cleveland Clinic launched one of the nation’s first mobile stroke treatment units (MSTUs) in 2014. We also plan to further expand the number of participating CCTN facilities, continually research best-in-class telestroke technology and investigate the use of telemedicine for situations beyond acute stroke, with the ultimate goal of reaching patients faster and improving outcomes. Dr. Hussain is Head of the Cleveland Clinic Stroke Program and Interim Director of Cleveland Clinic’s Cerebrovascular Center. Ms. Collins is the Telestroke Program Manager and Department Manager in the Cerebrovascular Center.